Sorting thru hardware for the intake and exhaust nuts&washers. 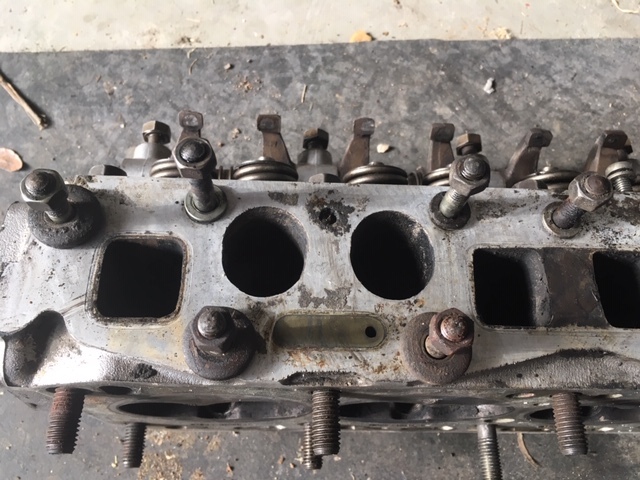 The top center stud has a different diameter washer for the exhaust compared to the other thick washers. Is it a different shape or type of washer? 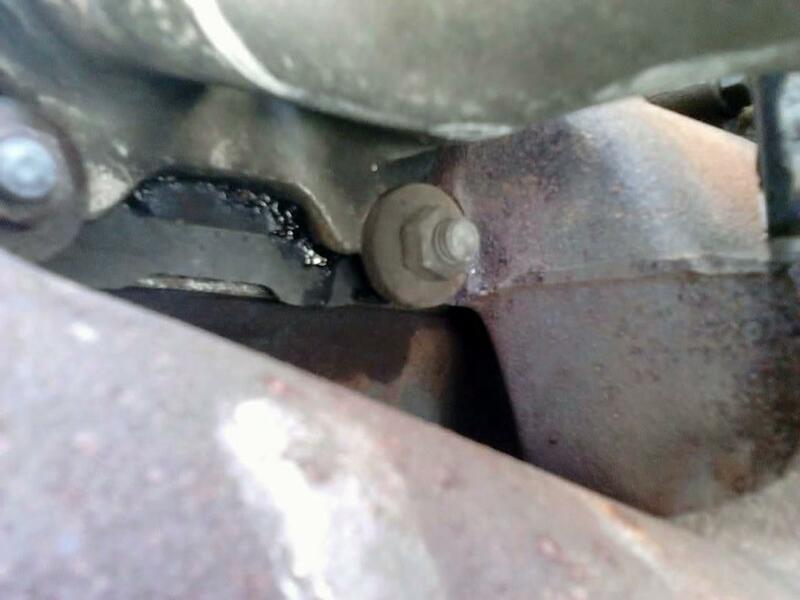 Also does the intake have a flat washer or only a nut and lock washer. I think I have everything else correct. Thanks. The top center stud has a different diameter washer for the exhaust compared to the other thick washers. Is it a different shape or type of washer? Also does the intake have a flat washer or only a nut and lock washer. 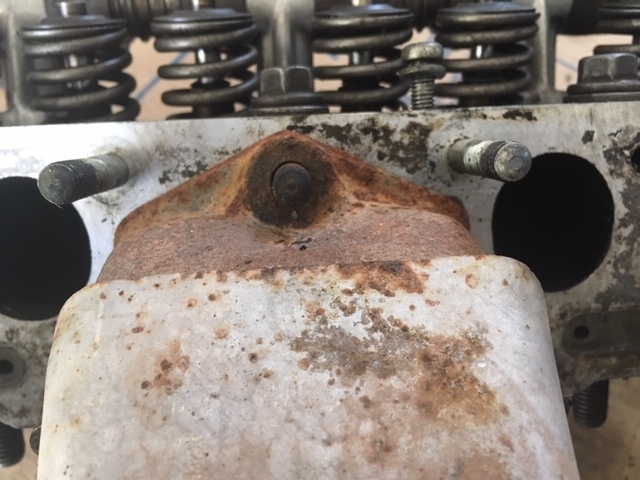 The top center stud has a different diameter washer for the exhaust compared to the other thick washers. Is it a different shape or type of washer? Thanks DD. 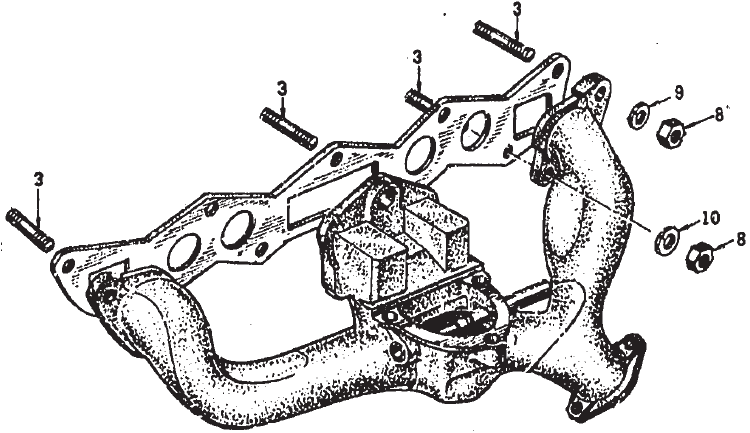 The top right and top left exhaust studs show an impression on the manifold of this same size yoke washer. 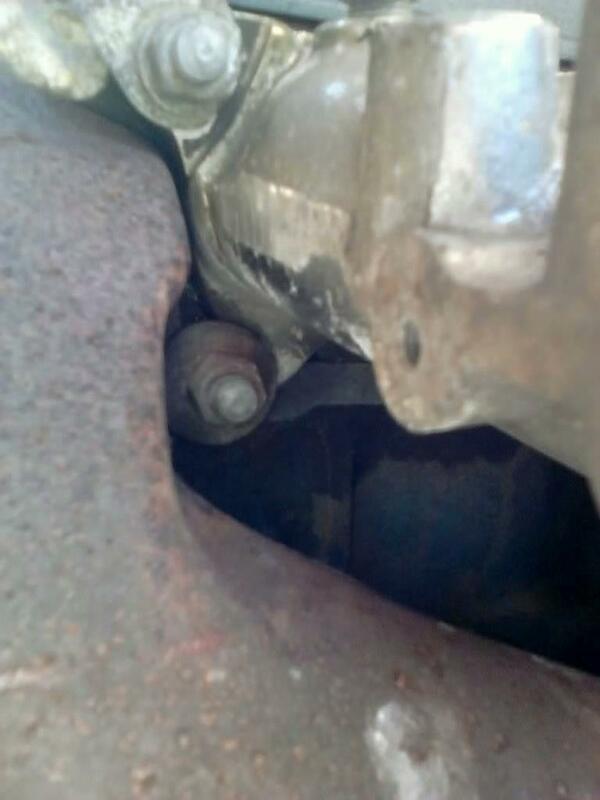 That just gets a lock washer and nut? 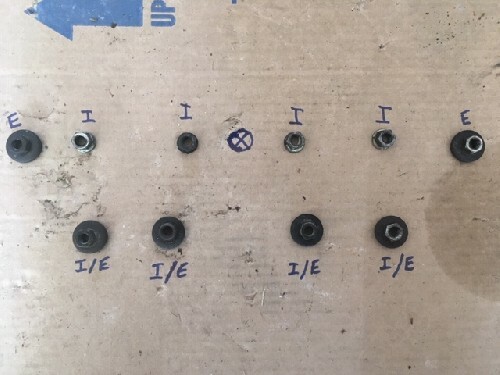 And the same with the top center stud, lock washer and nut only? 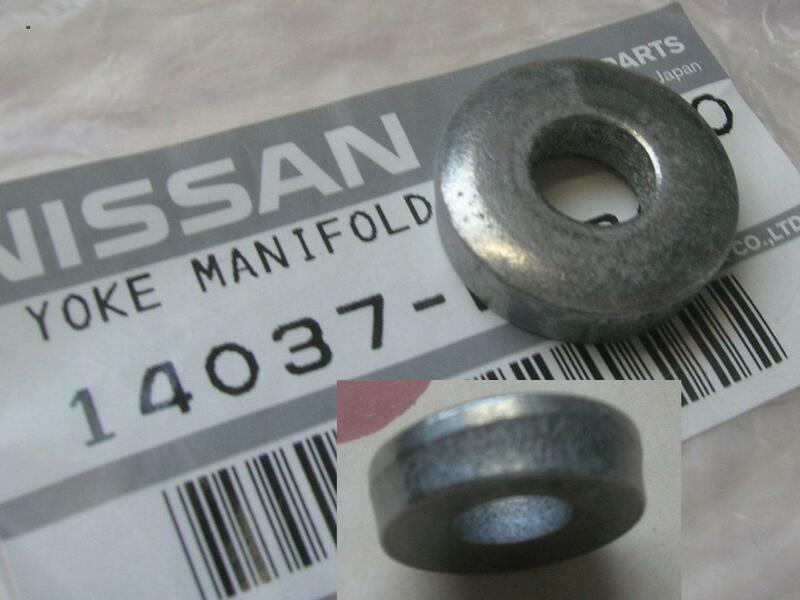 This would explain why I am short on these yoke washers for 2 motors. 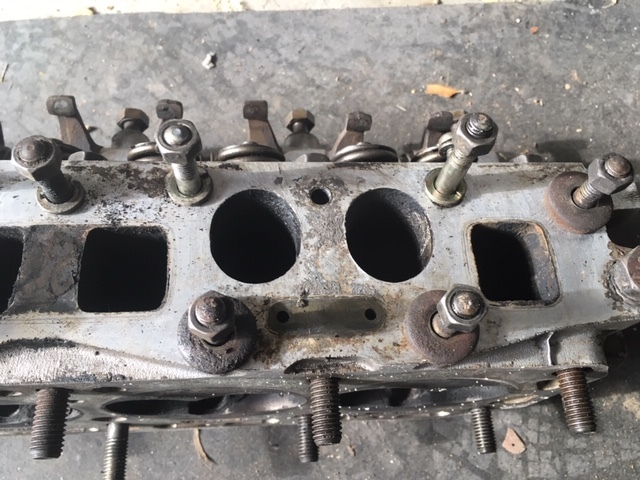 iNteresting that your cylinder head is drilled for both old and new bolt patterns (empty stud hole between the intake ports). What are the cast marks on the head? 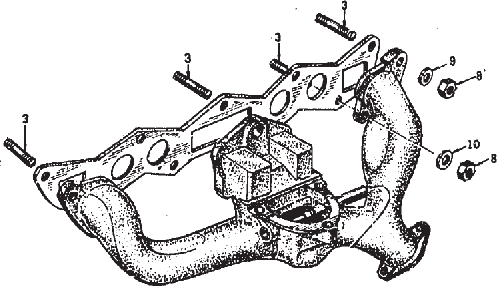 H95 head. 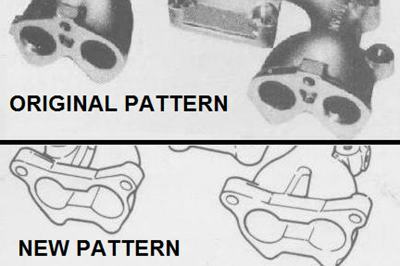 So what does that mean with having both bolt patterns?